With a history spanning over five centuries, Ryoanji Temple boasts probably the nation's most iconic rock garden. Founded in 1450, the temple stands atop an even older aristocrat's residence. 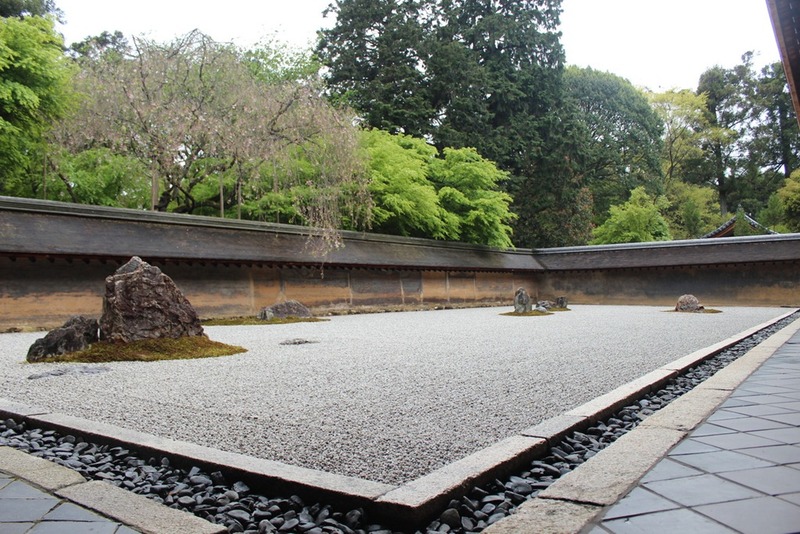 The garden notably features 15 rocks of varying sizes and shapes spread out across the surface, each surrounded by a small patch of moss. Think about the mysterious symbolism of the garden, which features a design that obscures at least one rock from view from all angles. Afterwards, wander the extensive temple grounds, which boast a number of walking trails, shrines, flowering trees, and a pond. Wrap up you visit with a quick meal at the onsite cafe. Plan to see Ryoanji Temple and other attractions that appeal to you using our Kyoto trip planner . Miniature could have been placed at the entrance. Before the placement of rocks is made and on the visible, real deployment is shown also. You can see it all. Real thing is amazingly beautiful and quiet movements that feel.